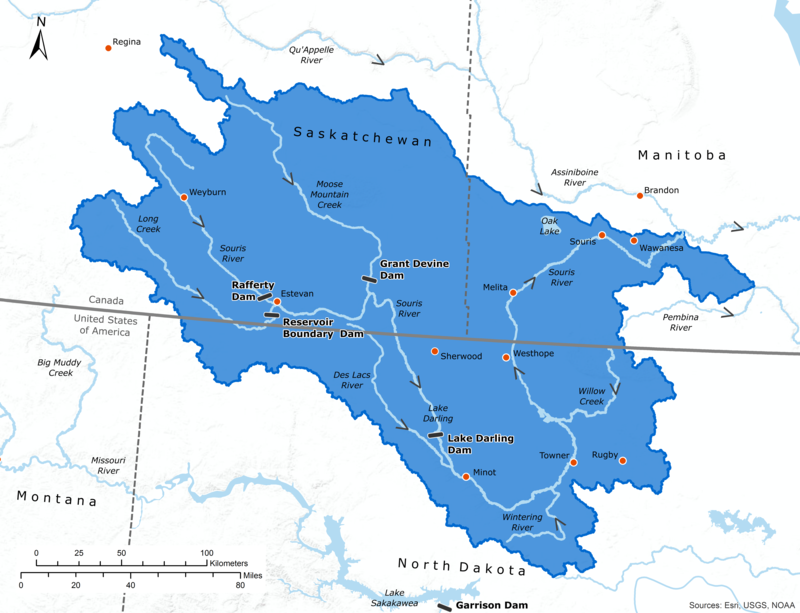 The International Souris River Board (ISRB) will meet on February 21, 2019 at the Victoria Inn Convention Centre located at 3550 Victoria Avenue, Brandon, Manitoba. The meeting will be held from 8:30 a.m.to 5:00 p.m. CST/CDT. 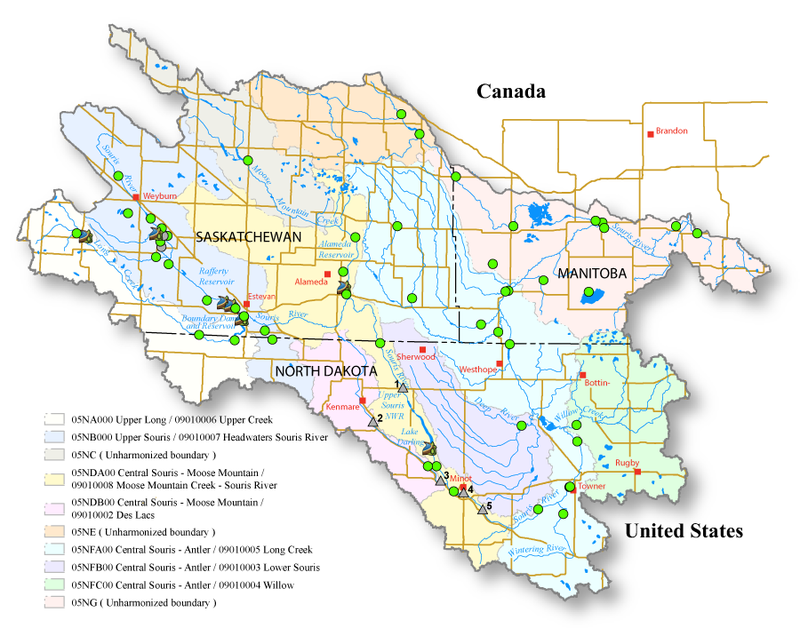 This interactive map provides live links to streamflow gauges in the Souris Basin and a "one-stop" view of flow conditions in the newly harmonized international sub-basin units.